The seventh Raigam Tele Awards ceremony, now known as the Raigam Tele'es took over the Sugatahdasa Indoor Stadium on May 13. A host of categories felicitating those connected with the mini screen took to the stage at the event. 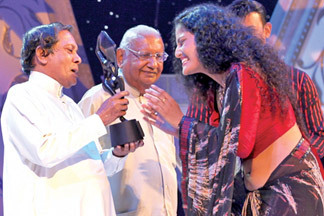 Menaka Rajapaksa and Nehara Peries won the most popular actor and actress awards. Amanda which is being telecast on ITN was the most popular teledrama. Ananda Abeykoon's Taksalawa was the best teledrama. Roshan Ravindra won the award for Best Actor for Abarthu Atha while Pabodha Sandeepani walked away with the Best Actress award for Pingala Danawwa. 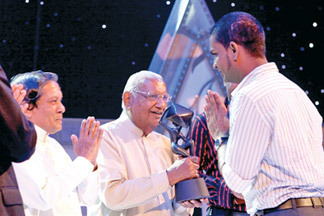 Mahendra Perera bagged the Best Supporting Actor award while Chandani Seneviratne was adjudged the Best Supporting Actress. Rupavahini was the best channel for 2010.